Another port from DA2. This time, Sebastians armor. I actually started with his armor before I worked on chantry Seeker, and wasn't really thinking about releasing it. I was only casually fitting it simply because I had it and though it looked good. Then I thought about how many time I've heard some people say there isn't enough male armors so I decided to post it anyway. I had to work a bit more on it though because it was stretching and clipping in all sort of way. There were also many texture that were flipped inside-out so I took extra time to flip them all in their right direction. The most problematic part on his armor are under his arms, I tried a new way of placing his arm in position and now realize that It maybe wasn't the best way. Usually, I would select, rotate, move and rescale the part in position manually. But FumoFumo explained a way of doing it to Yams the other day in steam group and I decided to try it. I don't even remember all of his explanation because when he was explaining it, I was busy with something else and could only catch a few phrase in the conversation. So I improvised a bit. The arm looks fine on normal position, but if you use pose mod, certain pose will make them look weird. I think it still look pretty good for a port though. 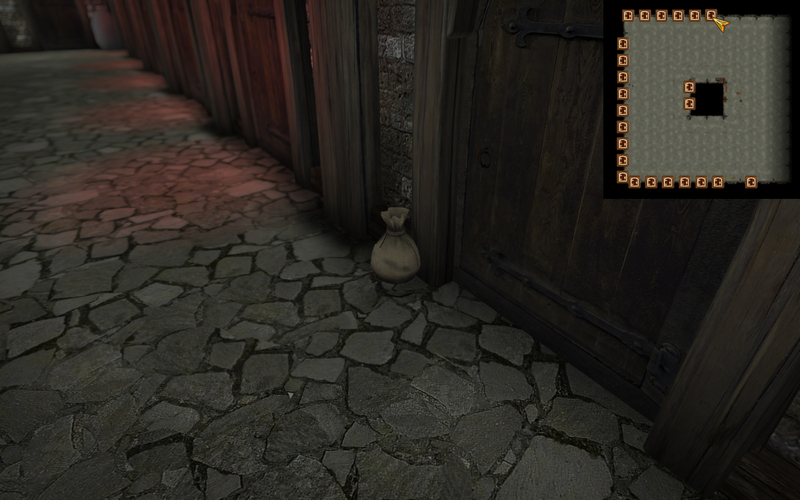 I added it in a small sack in testinghall. See image. Again, I copied Arena Raiment Light Champion in the CS for stats. I wanted to add his bow and quiver, but I hit a wall. 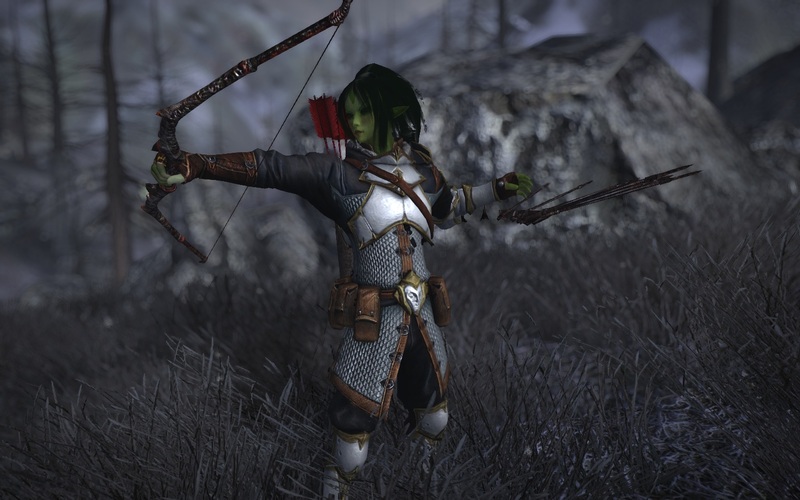 I have no idea how to create bow for Oblivion. I've found tutorials explaining how to modify an existing bow but none to make one from scratch. Quiver is also another weird type of item I don't know how to create. I have the models and I'll maybe port them someday if I find how. Man.. you're very good at this. It is great ,but may you create this armor for skyrim? could you please make this armor for skyrim? Idk if you're still active or even taking request but I'd kill for this in Skyrim, it's so shiny and white and pretty ohhhhhh myyyyyyyy, please?